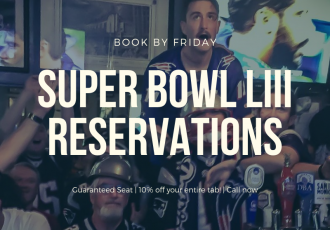 Get a guaranteed great seat for Super Bowl LIII and receive 10% off your entire tab.  Book your reservation by calling either location by Friday to redeem this..
Are you ready for some football (specials)? 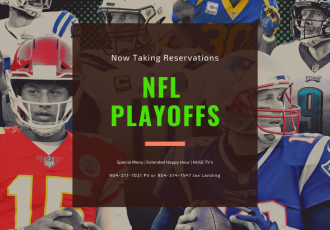 Make sure you reserve your spot for the NFL Playoffs and Super Bowl! – $10 items themed menu – Happy Hour pricing all.. Yes, both locations (Jax Landing and Ponte Vedra) will be open tomorrow 12/31. 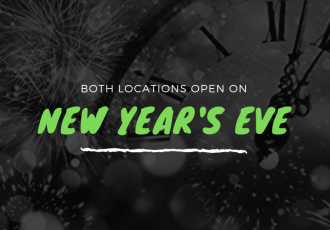 Spend your NYE with Fionn’s!